Designed by Harvard scientists, CoolSculpting® is a safe and effective way to eliminate unwanted fat. CoolSculpting® is FDA-cleared; plus, it’s completely nonsurgical, which means no surgery and little to no downtime! CoolSculpting® works by safely delivering precisely controlled cooling to gently and effectively target the fat cells underneath the skin. Treated fat cells are crystallized (frozen), then die. Over time, your body naturally processes the fat and eliminates these dead cells, leaving a more sculpted you! We know all too well that stubborn fat can be resistant to diet and exercise. Luckily, CoolSculpting® can treat more than just these two areas. CoolSculpting® is FDA-cleared to treat visible fat bulges in 9 different areas: the abdomen, flanks, banana roll, thighs, bra fat, upper arms, back, the submental area (double chin) and the submandibular area (below the jawline). CoolSculpting® is also FDA-cleared to affect the appearance of lax tissue with submental area treatments. Featured Before and After photos are not of Kristin Davis. The price for CoolSculpting® really depends on your geographic location, physician practice, the number of treatments needed and your ultimate goals. Some areas may also need multiple treatments to see desired results. 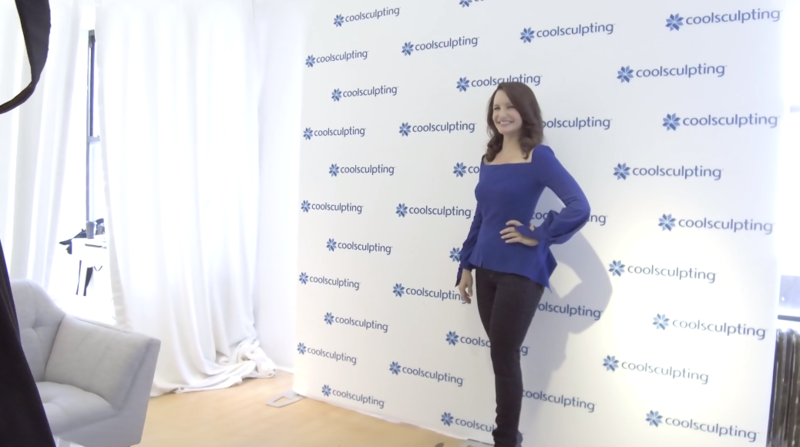 Since the treatment is so personalized, doing an in-person consultation with a nearby provider is the best way to get the most accurate quote for your customized CoolSculpting® procedure. CoolSculpting® can even be as little as $300/month†! Good candidates for the CoolSculpting® treatment are those with stubborn areas of fat that are resistant to exercise. The CoolSculpting® treatment can reduce fat in the treated areas up to 20-25%, but many patients opt for multiple treatments in order to achieve their desired goals! "Great doctor, with great experience, explains everything you need to know, well skilled and smart. A+"